Industrial designers for Dell, Ken Musgrave, left, and Steve Gluskoter display the company's new desktop and laptop models. The BTX desktop series on the left has a side vent to promote cooling and provides a handle. 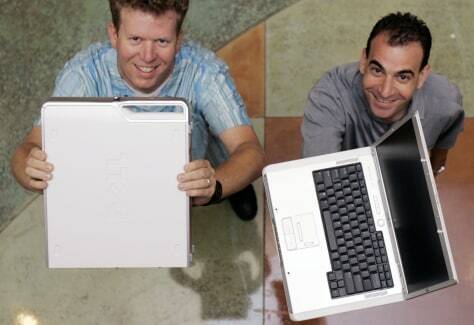 The laptop on the right is the Inspiron 6000.